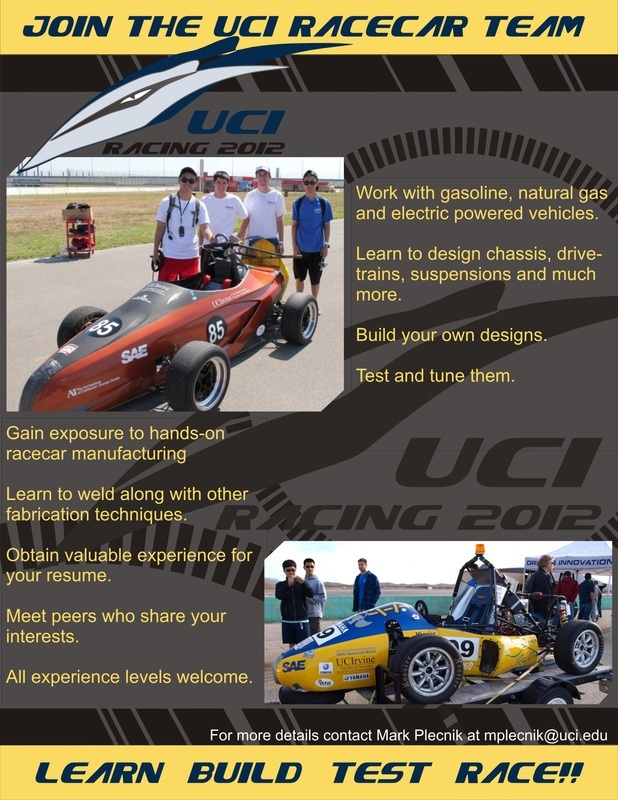 _With the right amount of motivation and curiosity, you can be part of the UC Irvine's FSAE team. Along with the mechanical and electrical engineering that goes into the development of the program, we have plenty of opportunities in marketing and developing business models as well as graphical designs. We are open to all majors. - You can take this as part of your Senior Design Project, usually titled "Race Car Engineering"
- Include departments in Engineering, Computer Science, Business, and the Arts.